Thoughts of a Young(ish) Car Guy - Brett Morgan: MINI Cooper of St. Petersburg ??? People have asked me on more than one occasion why I have moved to St. Petersburg rather than areas closer to where our businesses operate in Hillsborough and Pasco counties. The answer is easy. I have been a Pinellas County resident off and on since 1992 (only leaving for a stint in Richmond, VA for college and than Gainesville for work). I believe St. Petersburg is the best kept secret on the West Coast of Florida period, end of story. Between a mile to two miles from my home I have great restaurants (think Red Mesa, Parkshore Grill), the two best museums in the bay area (Dali, Museum of Fine Arts), the Tampa Bay Rays (Tropicana Field), The Tampa Bay Rowdies (Al Lang Stadium), a beach, a country club, a resort (Vinoy) and great parks and walk ways. I enjoyed South Tampa but St. Petersburg just has more to offer. It is sad to think that because our businesses are not close that I won't be able to have my friends and neighbors do business with me. That just isn't the case though. We have many brands that frankly don't even compete with local St. Petersburg businesses (Lamborghini Sarasota). 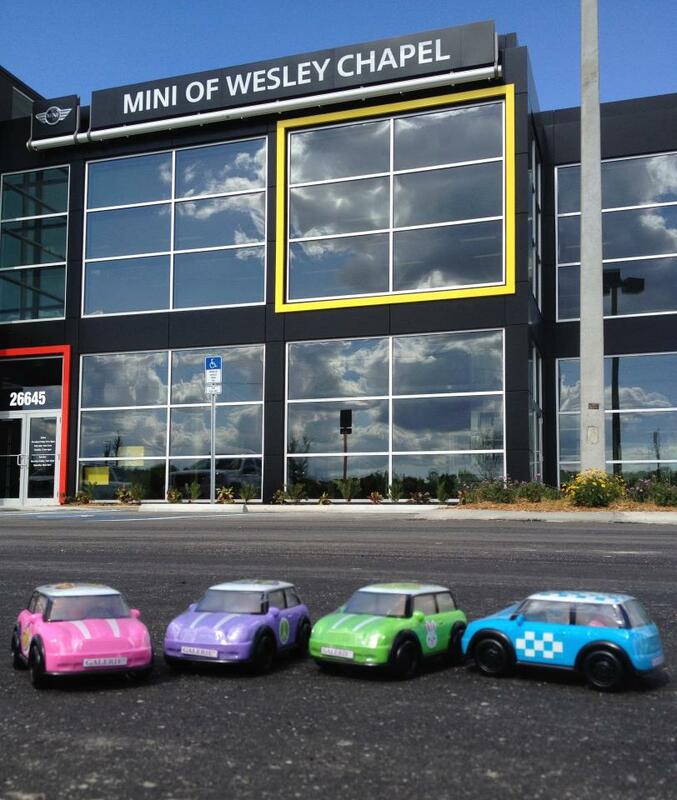 For one MINI of Wesley Chapel is one of only two Tampa area MINI dealers. So if you are looking for a Clubman, Cooper, Countryman, Coupe or Roadster and live in St. Petersburg ... you can do business with a local family! And I think it's safe to say we'd even deliver it to you! I know I am going to end up supporting St. Petersburg in many ways. I am already a Tampa Rays season ticket holder and I won't even tell you how well I have supported the local food scene. I'll let my growing belly do that talking! 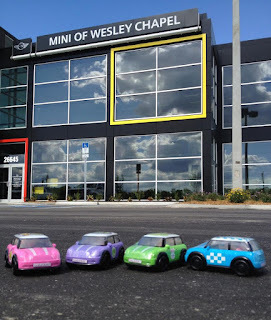 We would love for you to see our one of a kind new MINI Service facility - but we will delivery your purchased MINI right to you in Pinellas County as well!